It's been awhile since I've seen one. I won't be posting for the next several minutes as I will be busy RIPPING MY EYEBALLS OUT OF THEIR SOCKETS AND RUNNING THEM THROUGH A DISHWASHER. ...proceed at your own risk. Hey! You could give a person a little more warning! Arrrrrrrrgh!!!!!!! By the way, the latest mystery object is an ice cube tray divider. That was a trick, wasn't it? Thanks a lot! A lady is at her hairdresser getting her do done before she goes on vacation. "So where are you going?" asks the hairdresser. "My husband is taking me to Rome..."
"Oh my Gawd! Rome! I heard Rome is the biggest sewer on the Italian peninsula. How are you getting there? "We booked our flight on Continental..."
"Continental!!" sez the hairdresser. "I heard they had the oldest planes that are in the worst repair of any airline, their food is terrible and the flight attendants are all just about over the hill. Where are you staying??" "We booked a suite at the Amalfi in Rome..."
"The Amalfi! That's the biggest dump in the whole city of Rome! Their rooms are all 1950's vintage and I hear the room service is just terrible. What are you going to do while you're there??" "We hoped to attend a Papal audience at the Vatican...."
"You and 25,000 other pilgrims! You'll be lucky to even see the Pope much less get near him. Well, I'm sorry you booked such a lousy vacation, but make the most of it anyway..."
So time passes and a month or so later the same lady comes back in to get her hair done, and the hairdresser starts quizzing her about the vacation. "So how was the flight on Continental??" The lady says "We were pleasantly surprised that Continental just bought all new jets for their trans Atlantic route, and it was overbooked in coach, so they upgraded us to First Class for free! The service was amazing and those young male flight attendants treated me like royalty! "Oh. So how was the Amalfi..."
We were pleased to find out that they had just completed a five year renovation of the entire hotel, and all of the rooms were just magnificent. They also had overbooked the hotel that week, so they upgraded us to the Presidential Suite for two days until our suite was ready, all at no charge! Room service was outstanding and the staff could not have been more helpful. "I'll bet you didn't see the Pope..."
"As a matter of fact, we did. When we got to the Vatican and were admitted to the audience chamber, we were waiting quietly when a Swiss Guard came up and quietly asked us to come with him. We did, and he took us to a small room off the main chamber, and explained that His Holiness liked to greet several people chosen at random from the audience, and if we would wait a few minutes, the Pope would join us shortly. Sure enough, a few minutes later the door opened and in came the Pope himself. "Did you speak with him??" the hairdresser asked. "No, but he did ask me a question," said the lady. "What was that?" asked the hairdresser. "He said: 'Who the bleep did your hair???' "
Don't trust the media. Period. 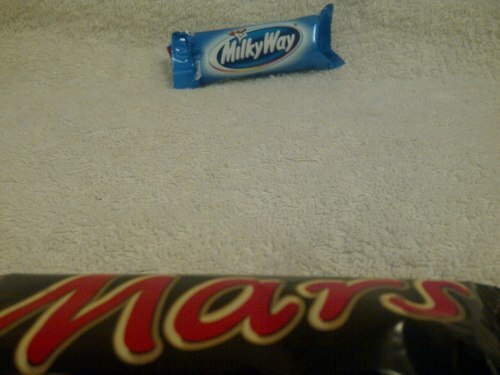 Awesome pic of the Milky Way from Mars. For Alice, my friend...we're all with you, we're going to beat this together. O's father would have been three years old during WWII. Maybe he was fighting to ensure that Al Gore could invent the internet? Hah! 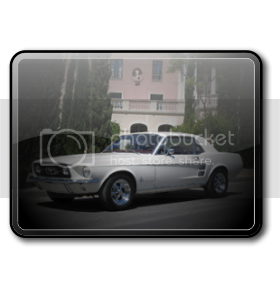 OK, name the model of the car!!!!! I remember using them as well. I had them in (a) a 1976 Lincoln Continental, Mk IV (the "pimpmobile" - pale yellow with dark brown vinyl roof), (b) 1971 Plymouth Scamp (awesome car with that legendary slant 6), and (c) a 70s something Dodge/mitsubishi Colt.